Thinking inside the box means embracing constraints in the creative process. We build structures exclusively from shipping containers –seemingly plain steel boxes. Then on top of that, our customers come to us with their own project limitations, such as budget, size, and job site location. With their constraints in mind, we look to our trademarked tagline “Think inside the box,” and discover surprisingly creative solutions. Here are five examples of when thinking inside the box spurred innovative container solutions. Law enforcement agencies and fire-fighting departments need structures to train first responders. However, stick built training facilities can cost tens of millions of dollars—something that’s just not in the budget for small to mid-sized cities. 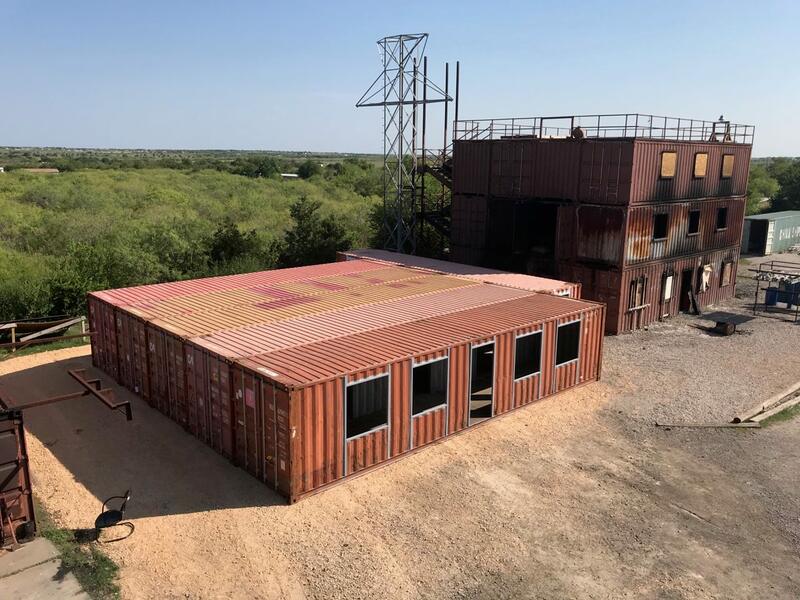 When a sheriff’s department came to us with budget constraints, we discovered that not only are container-based buildings an effective training environment but also a fraction of the cost. Now that we’re aware of this solution, we offer it to municipalities across the United States. A town needed to create a stadium before their lacrosse team’s season began. The catch: the next season began in less than a year. 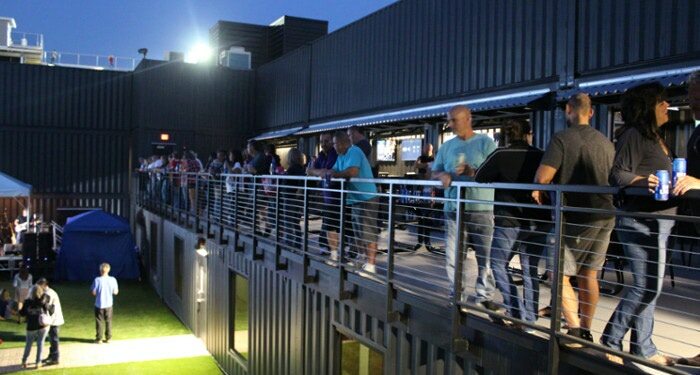 Using modular building techniques, the town was able to stack containers modified by Falcon into Fortress Obetz, the largest shipping container structure in the United States to date, in time for the first game. An energy company was mandated to clean up hazardous coal ash ponds. The cleanup required sensitive and expensive equipment large enough to fill up a small room. Each time they relocated the equipment to an ash pond, often to remote locations, it took a considerable amount of time to prepare the site and protect the equipment. 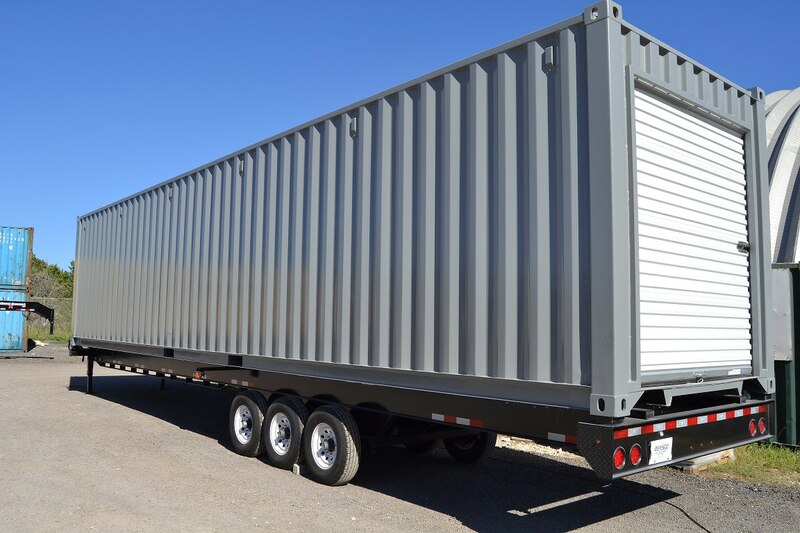 The equipment manufacturer reached out to us and asked us to transform a shipping container into a protective enclosure that would move with the equipment as one self-contained unit. 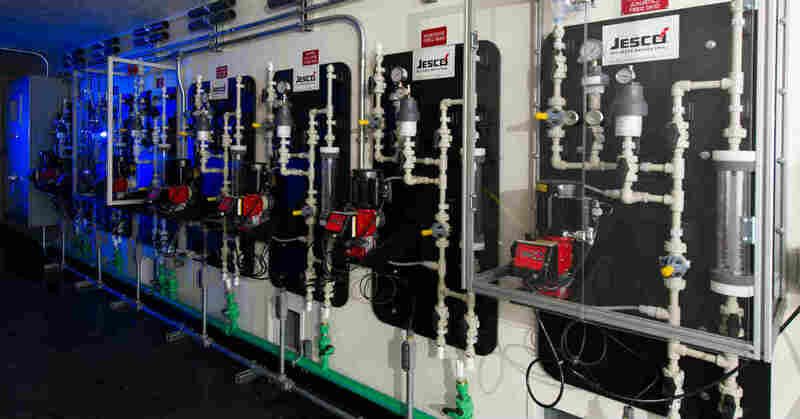 The equipment manufacturer’s customer now saves time and money with their containerized water treatment plant. A business wanted to add storage space for emergency equipment to their warehouse. However, square-footage was limited. They couldn’t manage to give up any more space in the warehouse or on the dock for this equipment. The solution: they made space where there was previously none by placing their equipment inside a shipping container on a chassis and pushed it up against the dock. 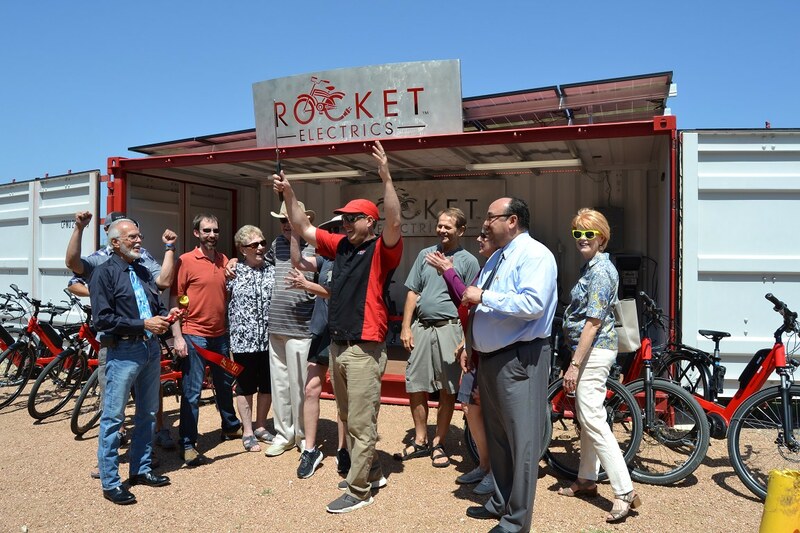 A local electric bike rental business wanted to put a small store front in an undeveloped lot next to an up and coming shopping center. They needed power to charge their e-bikes but didn’t want to run a cable or set up a loud generator. The structure also needed to be mobile in case they needed to relocate to a more strategic location. A shipping container with solar panels was the perfect solution. For more examples of thinking inside the box, check out our case studies!